Photograph amazing sand dunes, desert playa and colorful badland formations in this wild and rugged wonderland. 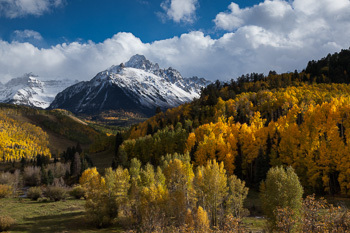 Explore big mountain scenes and take in the wonder of golden aspen groves that extend for miles. Photograph glowing sandstone in the other worldly canyon country of southern Utah.